When you open the door to your stateroom the first day of your cruise you expect everything to be orderly and sparkling clean. There was only one time I ever remember opening a door and not finding a clean stateroom and that was on a Chinese riverboat on the Yangtze when they gave us the key to a storage room full of cleaning supplies instead of our stateroom. Correction made quickly and we laughed about the whole thing. 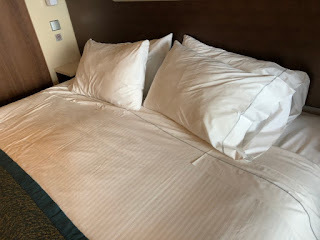 Now I'm not a terribly clean freak or germ phobe but I do expect that the room I'm going to stay in, the bed I'm going to sleep in and the bathroom I'm going to use are as clean as possible from those just using it a few hours before our arrival. From what I understand, each cruise line has a crew from shore that comes aboard and helps with the turnaround so that it is done quickly and efficiently. 'Nuf said. Here's what happened. I set down my back pack and began to look around. There were a few suspicious dents in the bed near the pillows that were a bit disarranged. Someone had obviously sat there after the bed was made. I immediately checked out the bathroom which seemed to be okay thank goodness. 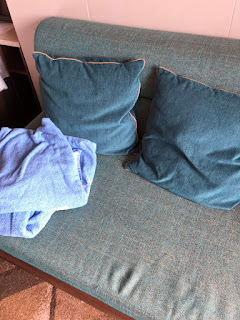 On the sofa there were two beach towels just tossed there and the pillows again looked like they'd recently been sat against. Certainly not the neat fluff and position you would expect to make a good first impression. When I sat down and looked across at the mirror I saw two big smudges. Not the kind caused by the swipe of a cleaning cloth. Just as I was deciding what we should do. A knock on the door came and when Bob opened it a small woman with black hair and steward uniform rushed in mumbling something and apologizing. She had a cleaning rag in her hand and hurriedly began to wipe surfaces. Okay, so maybe not all the rooms were clean. We set our backpacks on the top shelf of the closet and said we'd let her do her work and we'd be back. 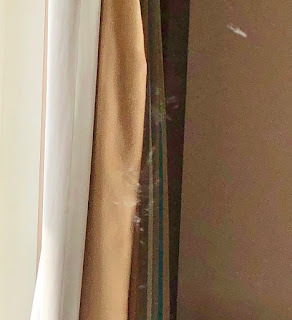 I guess she expected to clean that whole room with just that one rag because there was nothing in the hallway to indicate she was going to use other equipment. 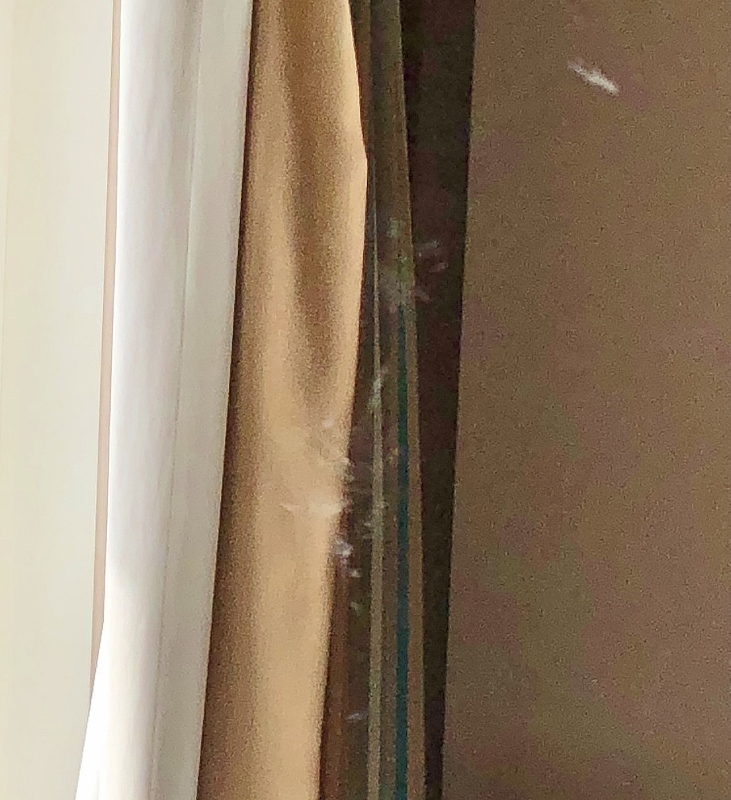 When we returned, the room did look better but over the next couple of days we still found pieces of trash here and there that had been left untouched. I know. We should have complained. If I had it to do over again I would. Now, with time to think about it, it truly was unacceptable. After all the horror stories about Noro virus you would think the standard would be raised for the turnaround days to keep things as clean as possible. So--maybe I am a little bit of a germaphobe. Cruising The Danube - Oh, The Food!